This wheel kit converts our FE3952 Heavy Duty Walker into a wheeled walker. 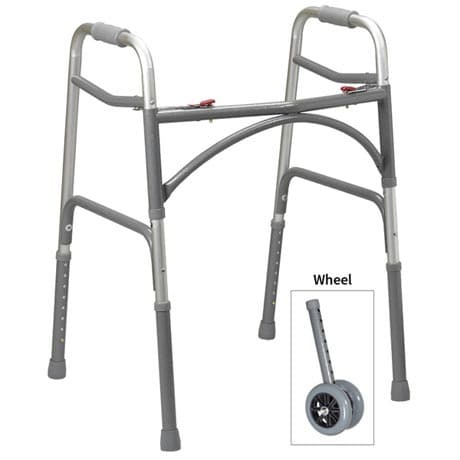 Dual rubber wheels on each side allow walker to roll easily over a variety of surfaces. 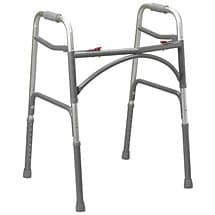 Kit adds 4" to height of walker and offers 8 individual height adjustments. Kit comes with replacement rear glide caps and covers that help it glide smoothly over all surfaces. Max weight capacity is 500lbs. Kit ships directly from the manufacturer. Shipping available only within the continental US.